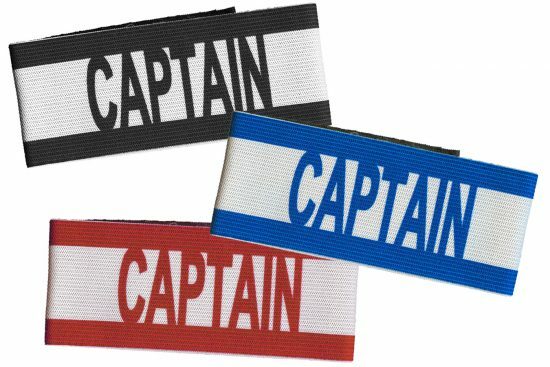 The 19B11 Kwik Goal International Captains Band is a one size fits most, 2″ wide elastic band with a Velcro closure. This arm band can be reversed to a black arm band. WE’VE PICKED SOME RELATED PRODUCTS YOU MAY LIKE.CHECK THEM OUT. A NEWSLETTER FOR SOCCER FANATICS. Whether they are coaches, players, or soccer fans, our staff all shares the same passion for "The Beautiful Game". They have all earned the trust and respect of our customers, many of whom come back season after season, year after year, to have our expert shoe salespeople assist them in their purchase. 2019 © MotorCitySoccer. All rights reserved. This product is for sale in-store only. View our Locations.